Where are my Jive bookmarks? I know this seems like a silly question, and I'm driving myself crazy not being able to find it myself, but where are my bookmarks? I was very diligent in the last few weeks bookmarking feature ideas so that I could vote for them this week. Now I can't find my bookmark list anywhere. 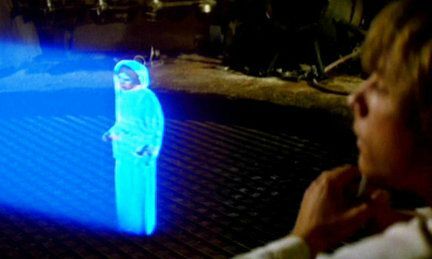 Help me Kona Jones or Scott Dennis, you're my only hope! Oh, look at that, Obi-wa--I mean, Scott Dennis. So simple, and yet who knew? John, you can also get to your bookmarks from your profile by clicking on View Profile | More [dropdown] | Bookmarks. I like your way better though, Scott. I was really surprised when I found the search bar shortcut - not where I'd expect it to be but it saves me a few clicks. Yep, I go for the search bar also. Although, John, you can also follow all those feature ideas. I created a stream called "To-Vote-On" and follow them so I also can see new activity (discussion) on them easily when checking up on my streams. I'm thinking I will be using bookmarks mostly for stuff I want to reference indefinitely and streams for things I want to be alerted on periodically. Great suggestion, Adam Williams! I'm creating a stream now!! Oh, also, in case anyone comes across this post that can't find the section in the right-side pane where you bookmark stuff, make sure you're not using an adblocker. For some reason that hides that little like/share/bookmark box in the top-right. See: Re: Has anyone figured out how to bookmark content? where we figured that out. LOL... it looks like you've gotten plenty of help John! For me personally, I always go to the Search box to get to my bookmarks. I found it pretty quickly when I first started using Jive and it still seems like the quickest and most intuitive way to find bookmarks, as well as doing general searches for things. Personally, I keep most of my custom streams turned off most of the time and then turn them on in my inbox when I am ready to engage with this or that area of the community. #1 - These grey boxes with horizontal lines indicate new updates. The amount of lines indicates how many new updates. Hover over the box to see how many. #2 - This will show you how many total new updates in this stream "since last visit." #3 - This will indicate how many new updates in this particular thread. Adam, thanks for the extra information and visual of how you have your stream set-up. That was very helpful in understanding how it works for you! When I click on something in my inbox I can view it down below, respond, or open it up in a new tab. The inbox, in my humble opinion, is the best way to get notified of things you've participated in and should loop back around to see the latest updates. However, it doesn't seem to do much in the way of discovery of things going on that I should participate in for the first time. That's why I like my "Rock Stars" stream. I can see what my favorite connections are picking up on that perhaps I should get involved in too. Adam, come in close and I'll tell you a little secret... using the Inbox I'm notified about EVERYTHING that is happening in Jive regardless of whether I've participated directly in it or not. Every time anyone posts anything in any of the groups I follow I get a notification, any time the guides get updated or someone posts a comment on them I get a notification, any time someone posts a new feature idea or comments on one I get a notification, any time someone posts a question (pretty much anywhere) I get a notification, any time anyone I'm following (individually) does something I get a notification, etc. That is either insane or brilliant depending on your point of view. There's a learning curve and I figured out pretty quickly how to scroll through what's happening and focus on the stuff that really matters or that I'm interested in. On the other hand I have nothing forwarding to my external email. When I am reading to deal with Jive I turn to the Jive inbox and when I'm not Jiving I don't need constant reminders hitting my email. I don't have anything from Jive sent to my external email either. I might be crazy, but that really would be insane! Brilliantly insane! So now I'm in close...tell me the secret Is this done by following everything to Inbox?